In three days the city of The Hague welcomed over 35,000 action sports fans and spectators to see some of the best athletes in the world in freestyle BMX, MTB, wakeboard, skateboard, snowboard and ski. The title ‘next gladiator’ went to three Dutch guys with Tom van den Bogaard winning the BMX park finals, Jesse Augustinus winning the snowboard contest and Mees van Lierop winning the ski contest. In wakeboarding the Hoppe brothers were in the top 3 with Jeremia Hoppe got first place. Kenneth Tancre won the BMX dirt tournament and in MTB it was Adolf Silva who won the title. In skateboarding the France man Adrien Bulard was the best of the rest. The organization of PRO FREESTYLE would like to thank all the athletes, sponsors, media, suppliers and of course all the fans and crew. On September 18th, 19th and 20th 2015, 400 (international top) athletes showed their tricks, flips and kicks during The Hague PRO FREESTYLE powered by Jeep. The action sports tournament took place in the city centre of The Hague, the Dutch political capital. So you’ve probably been to your local Boat Show and think you’ve seen it all? Think again. These guys eat trade shows for breakfast. Check ‘em out! How cool can a trade show in Germany be? Begin your season at the world’s largest water sports trade fair: showing the latest trend water sports equipment in two halls with various “adventure worlds” and “action centers”, boot 2016, 47th International Boat Show Düsseldorf (January 23 – 31, 2016 in Düsseldorf, Germany) is the perfect place to meet fans and manufacturers of the wakeboarding scene from around the globe. Halls 1 and 2 will feature 70 exhibitors from trade and industry, showcasing innovations in trend sports such as wakeboarding, stand-up paddling, kiting, windsurfing, surfing and skimboarding. The “Beach World” is the place to be for trend sports enthusiasts. Here, the boards and kites of the coming season are presented. And the best part: enthusiasts can try out the wakeboarding equipment on site in indoor pools and artificial rivers! International trend sports stars will give advice and support. Highlights also include competitions, indoor skim jams, wakeboarding show, demonstrations by experts, championships and much more! Overall, some 1,650 exhibitors from more than 60 countries provide a broad overview of the global market for boats and yachts as well as for water sports and maritime equipment and services in 17 exhibition halls of the Düsseldorf fairgrounds There is something for everyone!. The organizers of boot 2016, International Boat Show Düsseldorf (January 23 – 31, 2016 in Düsseldorf, Germany) launched a competition for the best water sports video clips. Water sports enthusiasts can submit videos showing them in action in or on the water and upload them at www.award.boot.de(select “English” from the pull down menu) by December 15, 2015 to compete for the new boot Düsseldorf video award. “We want really authentic clips of water sports enthusiasts which show that our sport is beautiful and, above all, great fun to try, too,” stated boot 2016 Director Goetz-Ulf Jungmichel. In line with the boot Düsseldorf motto “Experience 360° water sports”, the videos should reflect the entire panorama of water sports activities. The award will be presented in the categories sailing, motor boating (including jet skiing and inflatable boating), yachting, diving, fishing, paddling, windsurfing, kitesurfing, wakeboarding and stand-up paddling as well as family vacation by, on or under water. The winners in each category will receive a very special prize: a Splash Drone supplied by Multikopter. This quadcopter is not just rain and splash-proof but also completely water-proof and can therefore start directly out of the water. These drones will be on show in the Water Pixel World at boot 2016. The second to fifth place winners in all the categories will also receive attractive watersports-related prizes. The winners will receive their awards at a ceremony held during boot Düsseldorf on Sunday, January 24, 2016. The most attractive and exciting video clips will also be part of the new international advertising campaign for the 2017 staging of boot: the most distinctive images will be chosen for posters and advertisements and with the QR code, water sports fans will be able to access the winning video directly. boot Düsseldorf is the largest boat and water sports trade fair worldwide. Every January, about 1,700 exhibitors (800 of which are from over 60 countries outside of Germany) showcase their maritime equipment, innovations and developments over nine days in 17 halls. Starting in November, E-tickets can be ordered online at http://www.boat-duesseldorf.com. General Admission and VIP tickets are on sale now at www.mastercraftthrowdown.frontgatetickets.com. *PLEASE NOTE: The athlete list is subject to change. Rounding out the day of competition, musical guest Kip Moore will take center stage at the MasterCraft Throwdown on Saturday afternoon at 4:30 p.m. ET. The lead single from the MCA Nashville recording artist’s upcoming sophomore album, “I’m To Blame,” is steadily climbing the radio charts and has already become a fan favorite during Moore’s live shows. Currently on the road on Dierks Bentley’s 2015 Sounds Of Summer Tour, the singer-songwriter has earned critical acclaim for his “high energy” (Rolling Stone) live show with Chicago Sun Times heralding him as “carving his own niche in country music…that sets him apart from the flock of country music rockers.” Named American Country Countdown Award’s “Breakthrough Artist Of The Year,” Moore earned PLATINUM certification for his No. One smash hit “Hey Pretty Girl,” and DOUBLE PLATINUM status for his chart-topping breakout hit “Somethin’ ‘Bout A Truck.” For the latest updates, visit www.kipmoore.net. Produced by live action sports mastermind Gregg Godfrey, the MasterCraft Throwdown will also feature a full line-up of entertainment including pyrotechnics, light shows, “waterslide slip ‘n fly,” “hydryoskimming” motorcycles across the lake and more. Wakeboarding legend and two-time X Games gold medalist Parks Bonifay will emcee the event. The most updated details on the MasterCraft Throwdown including ticket information, competition schedule, athletes, music and entertainment is available at www.mastercraftthrowdown.com. The World of X Games is a weekly program on ABC and ESPN platforms, which features a variety of X Games and athlete-focused content. For the most updated schedule and information on World of X Games, go to www.xgames.com. Check local listings for additional details. IN THIS EDITION: Hubb Suffers Broken Foot, PLC and Schenker Win at La Salie Pro, Ohhara wins Nijima Pro. HAWAII- 3x World Champion Jeff Hubbard has suffered a broken foot. 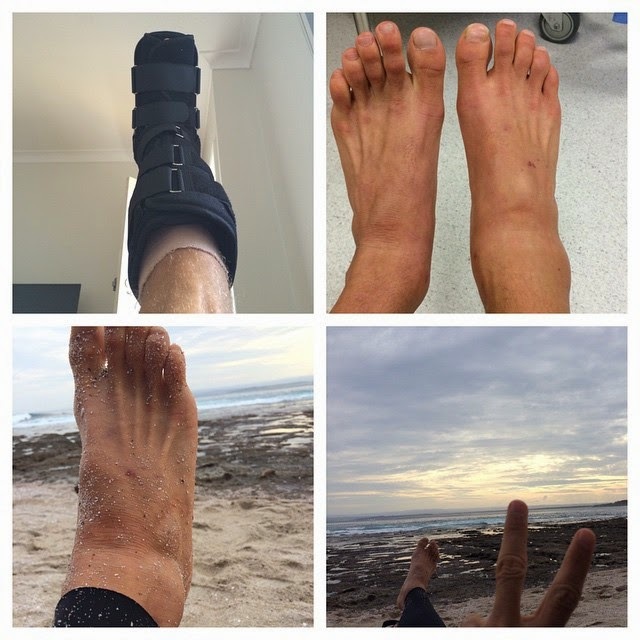 Here is what he had to say on his Facebook page (April 15th): “It’s official I broke my talus bone in my foot. The talus is a major weight bearing bone in your foot that supports your ankle. I broke it whilst landing an air revo at Black Rock yesterday. My foot came down too early in the rotation as I whipped the spin to fast. My foot went straight in to dry rock and all my weight and momentum from the fall on impact broke my bone. Three months with my weight off of the foot. 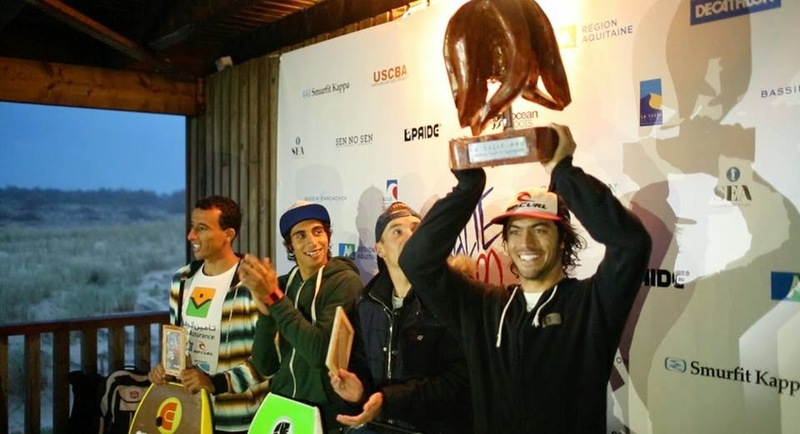 Conservatively Looking at JULY 15 to be back at it again.” Given that timeframe, it seems rather unlikely that we will see Hub at the world tour’s first two events at Itacoatiara (Brazil, July 2nd-12th) or Arica (Chile, July 17th-26th). Heal up quick, Jeff! 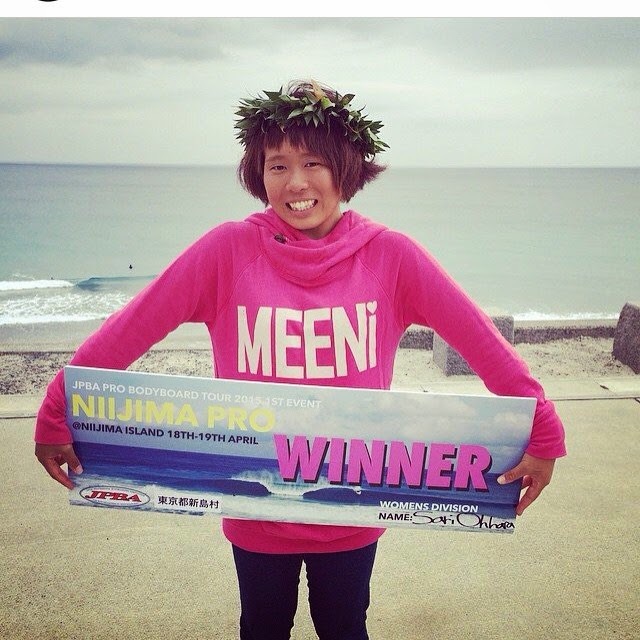 JAPAN- Defending 2014 Japanese Women’s National Champion and 4th ranked world tour competitor Sari Ohhara has won the Nijima Pro, event #1 on the 2015 JPBA tour. That’s all the News for now. Until next time, I’m Steve “Action” Jackson. I’ll see you out in the water…YEEEWWW!! !